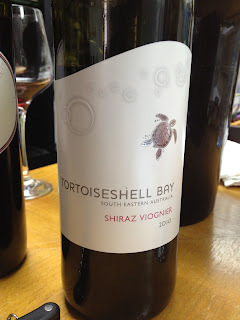 Today at HOFWs we got a group together to taste three of our sample wines; two from Australia and one from Bordeaux. Man, my job is tough. Anyway, here are the results in chronological drinking order. Palate: Instant fruit hit that dissipates quickly. Unbalanced, heavy on alcohol and acid. Palate: Some fruit, hints of chocolate, lacks body. Thin and no finish. 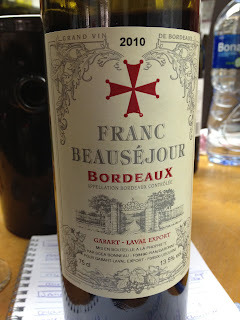 Palate: Dark berry, current. Ok balance, good table wine. 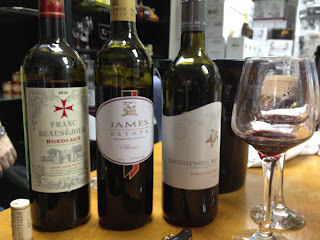 Basically the ranking from best to worst (per my palate) is Franc 1., Tortoiseshell Bay 2., and James Estate last. None of them were blow your mind kind of wines, but I can certainly picture myself sitting down with dinner enjoying the French guy. 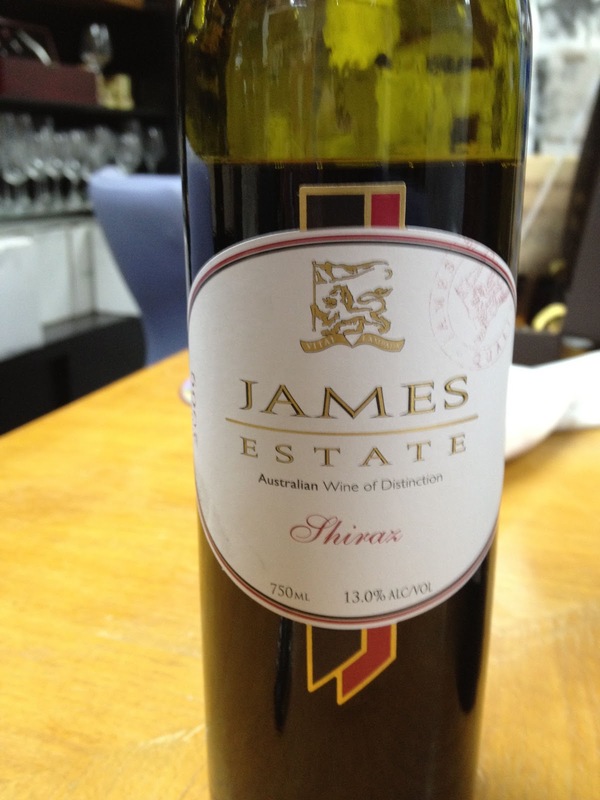 The Tortoiseshell was fruity but way too astringent, and the James just ended with zero finish. The key to a good wine is a good finish! What's weird and really enjoyable to me is how much you learn just on your own. Once you sit and make a conscious effort to pay attention to what you're drinking, you can picture the fruits and and tastes that are in your wine. Next time you sit down with a glass, take a moment to identify what you smell, swish it around your mouth and really think about what it is you're tasting. I think you'll surprise yourself.